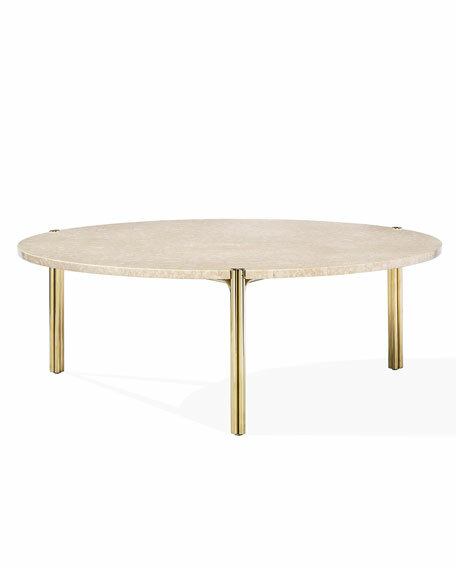 A cream marble top brings elegance and a touch of sophistication to the round Bryce Coffee Table. Handcrafted coffee table with marble top. 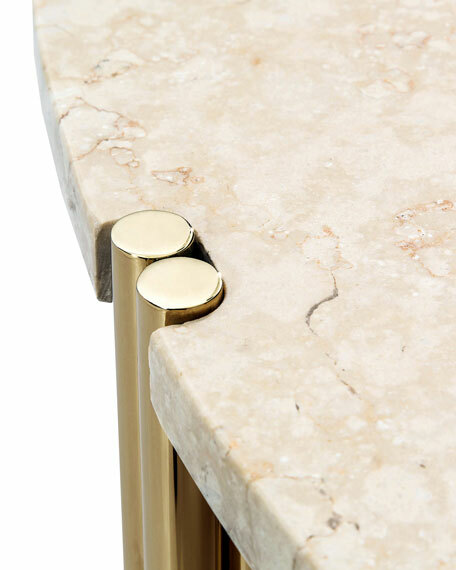 Stainless steel frame in a brass-finish.